However, behind this breakthrough, there is a demand for image guidance technologies to enable surgeons to see a full picture to complete operations. Conavi Medical, a medical device company based in Toronto, Canada, is devoted to developing this technology for use in MIS procedures. Patrick Li, business manager of Conavi in China, told the Shenzhen Daily that although technologies like this are available on the market, many of them have flaws in terms of the cost of the equipment and the safety of patients. “As a result, we are devoted to tackling this problem to provide the safest and most cost-effective equipment,” Li added. “For example, intravascular coronary imaging is currently limited to intravascular ultrasound (IVUS) or optical coherence tomography (OCT). But IVUS has low resolution while OCT provides an incomplete picture even though it overcomes the issue of low resolution,” said Li. Li said that Conavi has combined these two technologies into one product, named Novasight Hybrid, which is said to be the world’s first integrated intravascular imaging system that enables physicians to simultaneously have two images with both IVUS and OCT in one location. Their other product, Foresight ICE system, provides both 2D and 3D images with a full 360-degree field of view, outperforming devices developed by Abbott and J&J, which are only able to provide 2D images with a 90-degree field. According to Li, the rationale behind their move to Shenzhen is that Shenzhen is an innovation city. The talent in the Greater Bay Area provides advantages for the company to achieve sustainable development. 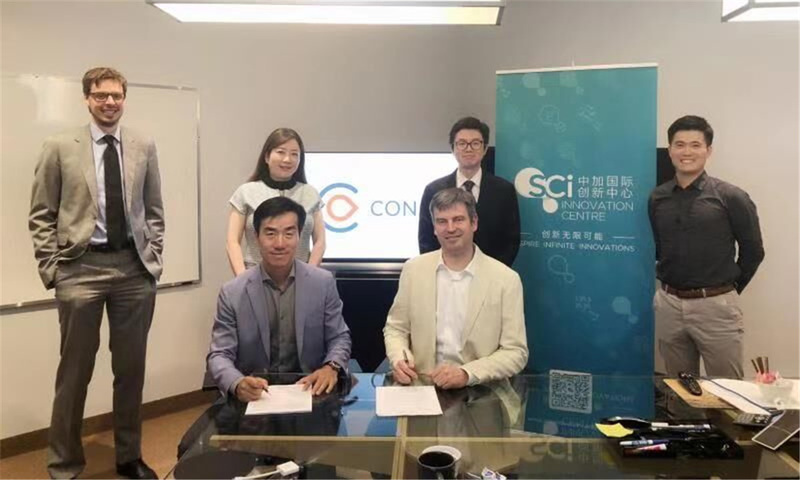 Conavi collaborated with Sci Innovation Center (Sci) to distribute the technology to China. “They have brilliant teams not only in China but also in Canada, which is convenient to coordinate businesses. Besides, they can help us obtain timely resources from the government,” said Li. Sci holds three brand activities each year, namely Sci Innovation Competition, Sci Innovation Festival and Sci innovation Forum, to promote innovation exchange between China and Canada, said Liu Huanming, CEO of Sci.